Despite being an increment in the Mac sales, Microsoft still has dominance in the computer industry. 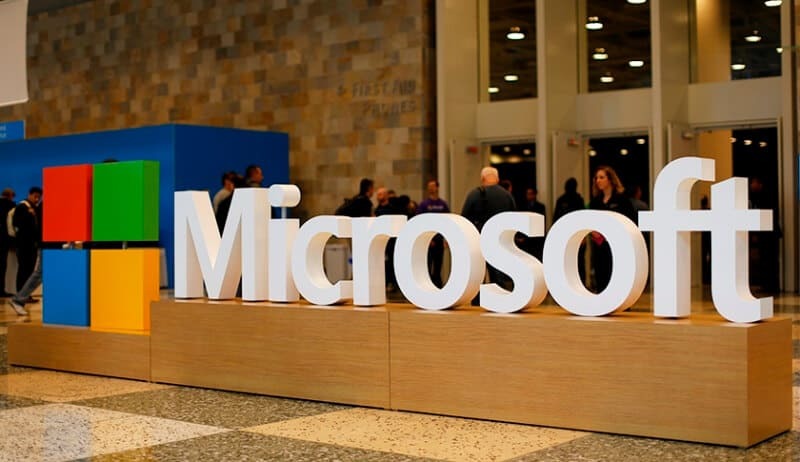 Microsoft Corporation is an eminent multinational technology company that is counted in the World’s most valuable companies and world’s largest software makers by revenue. It was founded by Bill Gates and Paul Allen on April 4, 1975. Microsoft came up with MS-DOS operating system, and then it improved the quality time to time and brought new versions of MS Windows in the market. It also has a flagship hardware product like Xbox video games consoles. Microsoft also acquired the most popular business and employment-oriented social networking service LinkedIn and best video calling service Skype Technologies. It is active in some other areas such as Internet search (with Bing), digital services market through MSN, mobile phones. So, it was a brief introduction about the world’s most popular Operating System Company which is now more than the software maker. In this article, some interesting facts about Microsoft that you never heard would be unveiled. (1) “Micro-soft” First ever mention: Microsoft was originally begun with ‘Micro-soft’ title written by Gates. The hyphen was removed in 1976 and “Microsoft” was officially registered in November 1976. (2) Logo of the Microsoft: It changed several times over the years, In the beginning, Microsoft introduced Pac-Man logo which was designed by Scott Baker. But previous to Pac-Man logo, it was the “Blibbet” logo which was also a name of a burger served in Microsoft company cafeteria. (3) Brian Eno composed “The Microsoft Sound”: Brian Eno an English musician composed the six-second start-up music sound of the Microsoft’s Windows 95 operating system. (4) Microsoft’s Favourite Food is Pizza: At Microsoft, the staffers get free drinks and the top drinks are milk and OJ. Additionally, candy is also free at the Microsoft campus. If we talk about the food at Microsoft, it has 35 cafeterias that serve around 37,000 people every day and one more thing, Pizza tops the list of the most famous meal at Microsoft. (6) The Average “Softie”: An average Microsoft employee is called as the softie. And there is a rumor that a softie gets a starting average salary up to $106,000. (7) Microsoft Celebrates Anniversaries with M & Ms: A small or big company have some house tradition. At the hire date, employees of Microsoft celebrate their employment anniversary by taking a pound of M&Ms to work. (8) Microsoft Stock has split nine times: Microsoft has split its stocks nine times. Well, in simple terms, stocks of a company are split only when the price of stocks becomes too high. (9) Microsoft has a huge art collection: It is one of the popular largest corporate collectors of artwork. Microsoft collects More than 5,000 contemporary pieces such as sculpture, painting, photographs, works on paper, multimedia works, studio glass and ceramics. Microsoft gathers arts from local artists, big names, and some up-coming artists. (10) Microsoft asks strange interview questions: One who is famous for asking off-beats questions during a job interview is Microsoft. Microsoft hires people by testing their forward-thinking, creativity. (11) Microsoft holds over 10,000 patents: Patent is a license that claims a right or title to something to exclude others from making or selling a particular invention. So, Microsoft holds more than 10,000 patents. It is also one of the top 5 patent owners in the United States.Most of the patents are related to the software. (12) More than 1.1 billion people use MS Office. That’s 1 in 7 peoples on the planet. (13) In 2004, Microsoft sued 17-year-old student Mike Rowe for founding mikerowesfot.com. (14) More than 1.5 billion people use Windows every day. (15) Office 365 Home Premium has 3.5 million subscribers and growing. (16) Skype users make an average of 50 billion minutes of calls per month. (17) Microsoft is the second-largest purchaser of green power in the U.S.
(18) Xbox Live has over 48 million members in 41 countries. (19) Microsoft has 16 different $1 billion-plus businesses. (20) The campus of Microsoft has lots of bunnies. One day someone brought bunnies to the campus, and one led to another, and it became a large group by the time. (21) Microsoft never sells software, it only licenses it and enjoys full retaining rights over the software. (22) Melinda Gates wife of Bill Gates worked for a software called ‘Bob’ which was a flop and worst software of the Microsoft. (23) Microsoft’s the first window virus is named as Winver 1.4. (24) You can’t create a folder named “con” in windows. (25) Microsoft’s PowerPoint’s original name was Presenter, and it was developed by Forethought, Inc. in 1983, but Microsoft bought it in 1987. (26) Microsoft created MS Excel as the first office application in 1982. Initially, Excel was named as Multiplan, but Microsoft changed to Excel in 1985 when they released it for Macintosh. (27) When Gates was a 17 years old boy, he sold his first computer program that was a Time-Tabling system for his high school for $4,200. (28) Gates was banned from the use of the computer in his high school by Computer Center Corporation when he was caught hacking the OS to enhance the Computer usage time. (29) Bill Gates scored 1590 on his SAT (Scholastic Aptitude Test) and got selected for Harvard University. The top score of that time was 1600. (30) Gates was arrested for jumping the RED light & driving without any license in New Mexico in 1997. (31) Bill Gates was declared as the richest man in America with the worth of $6.3 Billion by Forbes in 1992. (32) Microsoft access was never released for Apple computers. (33) Bill Gates dropped the College in 1975, to state his company with his school friend Paul Allen. Microsoft is a topmost company in the World, several people wants to get a job in it but getting hired isn’t so easy but yes the talented, creative people are always welcomed here. Many people are eager to know some amazing facts about Microsoft. Therefore, we have given a list of interesting facts about Microsoft that you never heard. Awesome information, Thank you for sharing.